Home » Collection » Sir George Johnson, M.D., F.R.S. 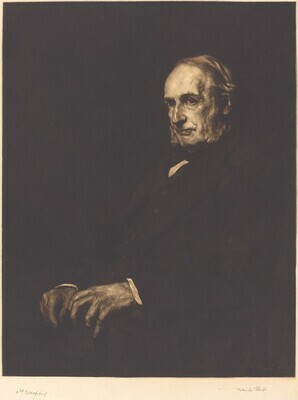 Sir George Johnson, M.D., F.R.S. Hardie, Martin. The Etched and Engraved Work of Sir Frank Short, vol. 2. London: Print Collectors' Club, 1939, p. 23, no. 64. Strange, Edward F. Etched and Engraved Work of Frank Short, A.R.A., R.E.. London: George Allen & Sons, 1908, no. 235.